Metal Gear Solid has always had a touch-and-go relationship with reality. Though built on topics like nuclear deterrence, private military contractors and wartime trauma, Kojima happily throws cyborgs and vampires into the mix without so much as a knowing wink. However, Metal Gear Solid V: Ground Zeroes is a different animal than its predecessors, one that largely excises the fantastical elements and gets to the heart of what intelligence operations are all about: collecting information while staying undetected. For a game with so many new elements, Ground Zeroes has a back-to-basics feel. A single, highly contained location serves as the backdrop for various missions ranging from extracting prisoners to assassination and sabotage. The base itself sets the stage for a recalibrated tone - rather than the industrial majesty of Shadow Moses or a sci-fi wasteland, Camp Omega is a ripped-from-the-headlines analogue for the detention centers at Guantanamo Bay, particularly the temporary detention facility Camp X-Ray that the military closed in 2002. Like X-Ray, prisoners sit in outdoor cells wearing facemasks and orange jumpsuits, while soldiers live in a tent camp nearby. (The Geneva Convention states that guards must live in conditions "not markedly different" from prisoners.) But while Omega's look comes from X-Ray, in function it resembles the reputed black site at Guantanamo Bay - a compound a mile outside the perimeter that American soldiers referred to as "Camp No." The name was a joke, playing off the answer they'd receive when they asked their superiors if it existed. But despite official denials, exist it did - soldiers on patrol could sometimes hear screams when they passed the building, and saw transport vans delivering prisoners to and from the area. According to a report in Harper's magazine, Camp No played a major role in a detainee triple-suicide in 2006, an incident that the article alleges was a cover-up for the three men dying under torture. 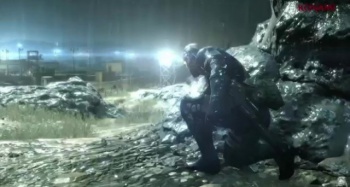 Ground Zeroes treads the same ground, with prisoners moaning on your shoulder as you rescue them and Marine guards speculating with each other about the screams they hear at night. But it isn't merely the setting that makes Ground Zeroes more down-to-earth than its predecessors, it's how the game emphasizes information collection over combat. Most games about espionage are actually about shooting people. CIA operations make a great backdrop for action games, it's true, but intelligence work is about extracting information, not piling up bodies. In a way, it's understandable that games have confused this point since in the past decade the CIA has too. During CIA Director John Brennan's confirmation hearings last year, he stated that one of his top priorities was to get the Agency out of the killing-terrorists-with-drones business and back into the long neglected collecting-information business. It's therefore proper that as real-life spies re-focus on data gathering, fictional ones do too. Ground Zeroes is at its heart a game about observation and planning. The player's most effective tool isn't a gun, it's binoculars that let you tag enemies and track targets. Interrogating guards can give away enemy positions and fill in your map. At one point, the player has to identify an objective by listening to audio cues on a tape. Bored guards shoot the breeze while standing in the rain, dropping hints at weapon caches or other secrets. The detail-rich environment forces the player to engage actively with the game world as a puzzle. It also humanizes the enemies, turning them from paper targets into information sources that are more valuable alive than dead. It's a refreshing change in an era where games - from Assassin's Creed to Theif and Batman: Arkham Origins - often outsource the player's mental abilities to x-ray vision. (Though I wish GZ scaled it back even more, allowing you to find targets based on their photos rather than a "search this area" objective.) 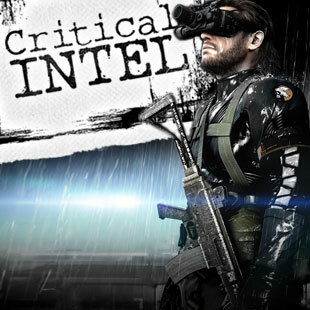 The result is that Ground Zeroes isn't so much a combat or even an infiltration game, but an information-gathering game. Shockingly, Ground Zeroes is the first MGS game to live up to its subtitle and actually allow you to conduct tactical espionage operations. And that's another point: Ground Zeroes bucks the military thriller genre by giving you operations that are limited in scope and duration. These aren't world-tripping exercises with unnecessary moving parts - you're dropped off to extract a prisoner and when you do, you get on the helicopter and go home. I can't believe I'm saying this about a Metal Gear Solid game, but that's a much more accurate portrayal of intelligence operations than we usually get. While it's true that major intelligence campaigns can span years and continents - the hunt for Osama bin Laden, for example - most single operations are limited and ideally leave no trace of the operative's presence. Kicking down the door, shooting enemies and looting data isn't only a bad idea diplomatically but also degrades any intelligence taken - secrets are less valuable when the enemy knows you possess them.